Ed was born in Virginia but raised in both Boise, Idaho and Phoenix, Arizona. He earned both his Bachelor of Science and Master of Science in accounting from Brigham Young University in Provo, Utah. 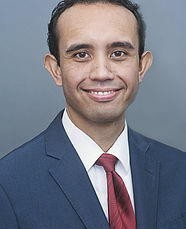 He went on to earn his Juris Doctorate from Arizona State University in Tempe, Arizona and is an attorney certified by the State Bar of Arizona. Ed currently lives in Gilbert, Arizona with his wife Lisa and their six children Emily, Jacob, Ashlee, Joseph, Elizabeth, and Thomas. In his free time he enjoys serving on community committees, giving service through church responsibilities, and being with his family.